James, that is a great choice! It was such an interesting & little know vehicle. Welcome to our campaign and to the world of campaigns. 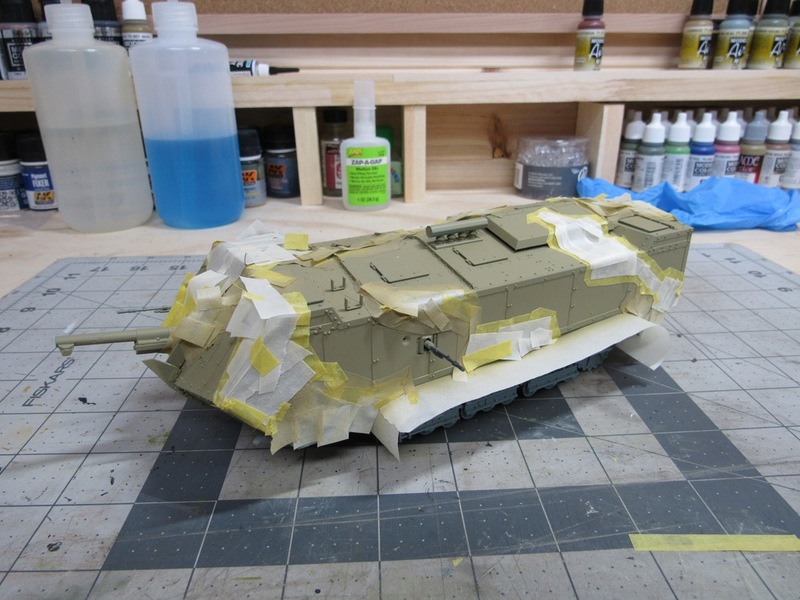 I find they are a great way to enjoy the hobby by sharing your builds and get help with issues that crop up. 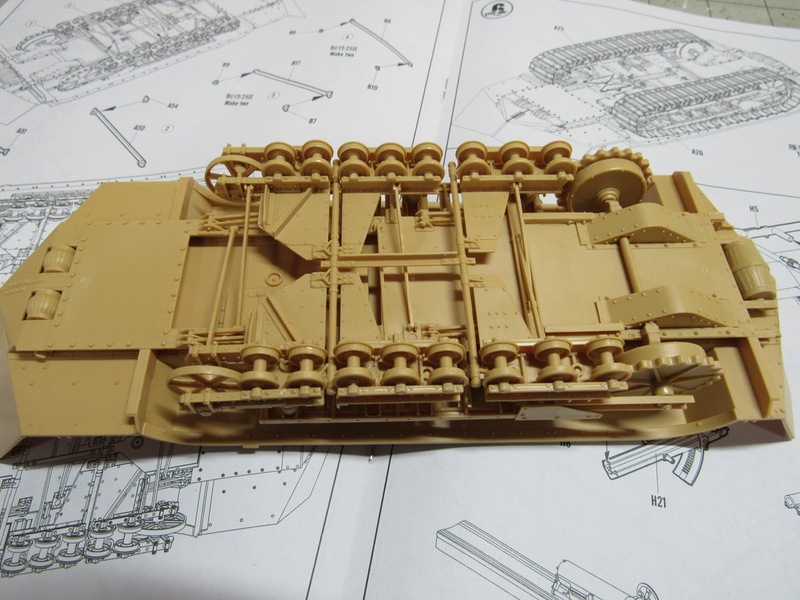 I have the Takom Mk 1 that will probably have the same tracks that you have on your Mk 4 and will be following to see how they go. I have not started my Tamiya Mk 4 yet but will get to it after a bit. I started an Su-9 for the Sukhoi campaign and have been enjoying that build as it is the first airplane I have tried in years. I may try a few links to see how they go together. Each link is made from 5 pieces. The 4 track guide parts under the track plates are very small and fiddly looking. 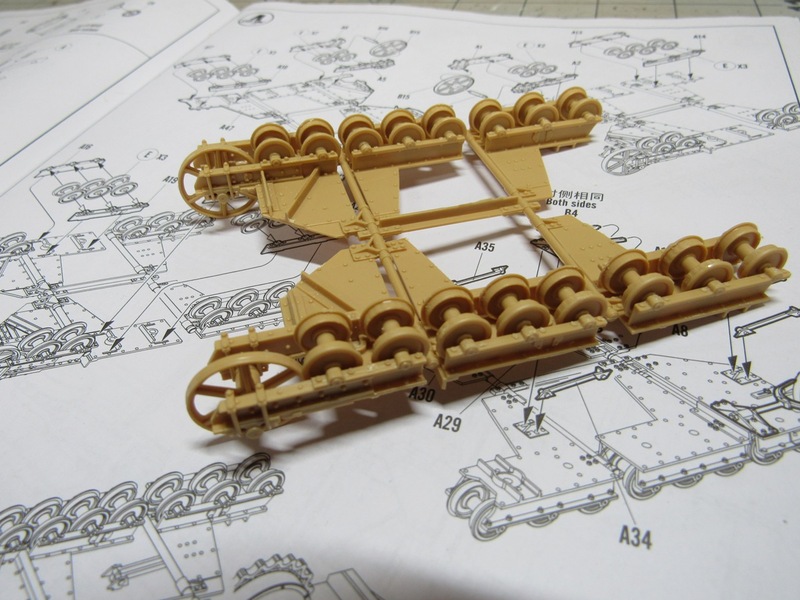 From Some reviews I've read, it's very easy to assemble out of alignment if you rush and end up with wonky tracks! 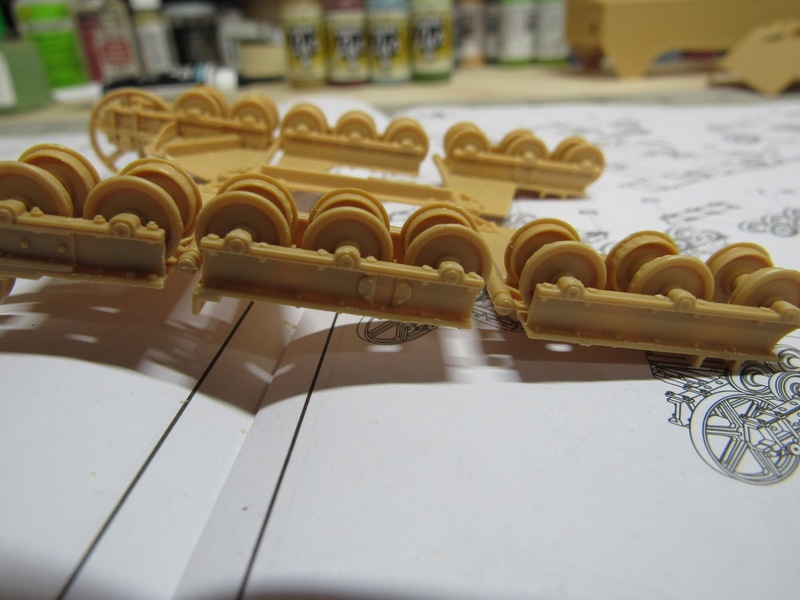 There seem to be more parts making up the tracks than the rest of the kit combined and quite frankly lifes too short! 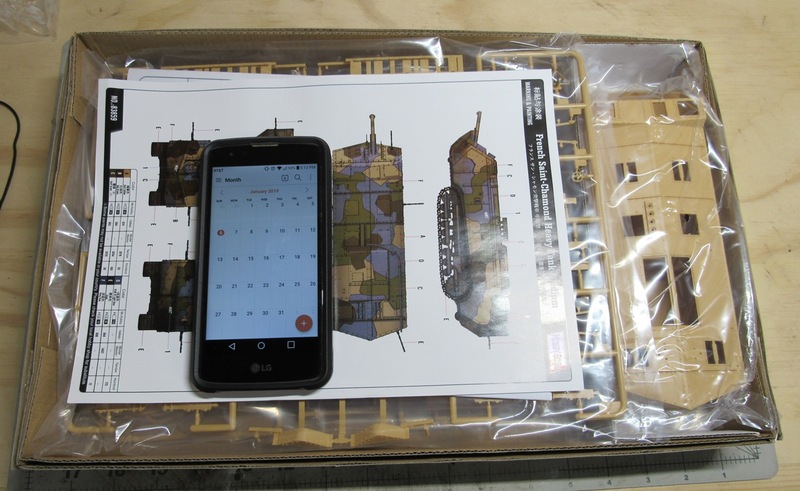 The instructions suggest using the track plates only as an alternative, just gluing them around the hull. Not strictly accurate, but with some mud and muck I reckon it could work if all else fails. I'm going to keep my eyes open for alternatives though before I commit to anything. Thank you both. 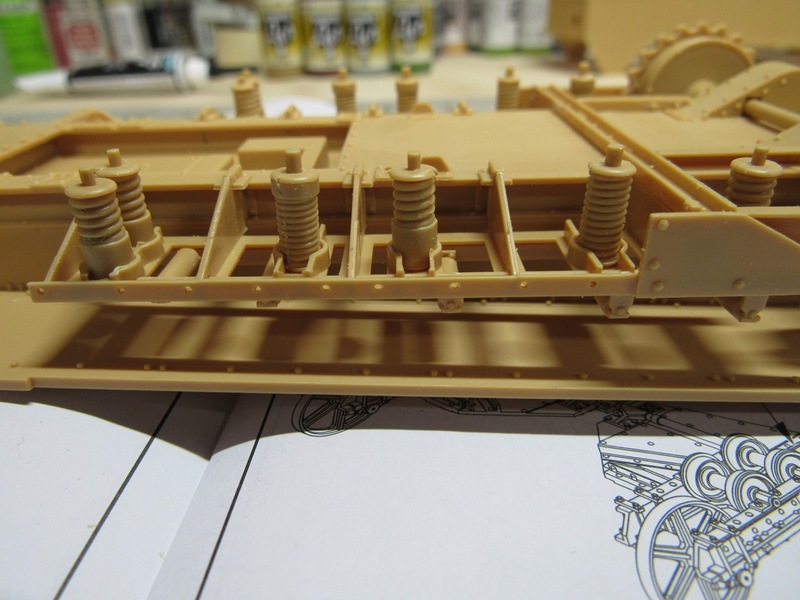 The running gear is the majority of the build, lots of parts and detail but not very hard to build. But naturally I made some mistakes. Next up are the road wheels. Seems like it was a complex suspension system on the Saint Chamond. Naturally I made another mistake here. 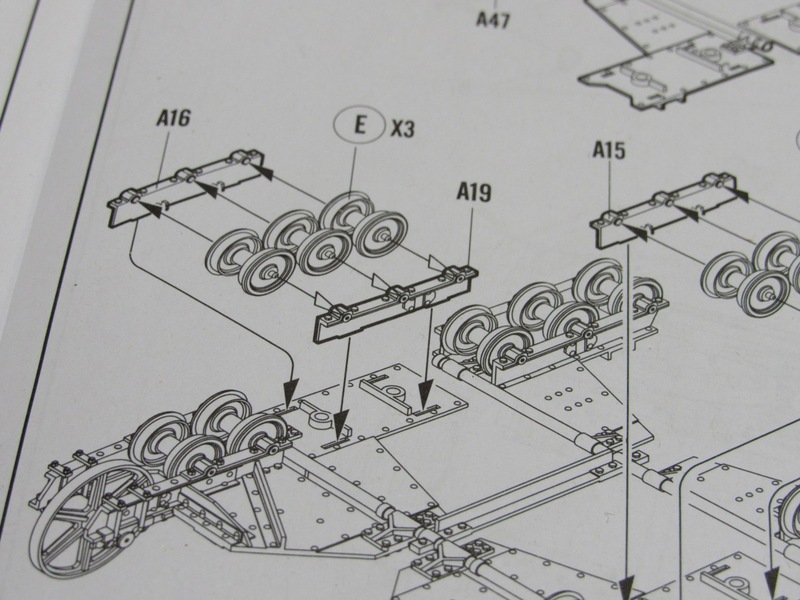 The middle batch of 3 road wheels have a mounting plate on either side, and it is important that they are put on the correct sides. Parts A16 and A19 make up one side, and since reading is hard (especially upside down), I put them in the wrong spots. The inside parts have these two little bracket halves as a mounting location for some rod arms. So the trouble comes in the next steps where the rod arms are placed. Now, I find it more important to be consistent than right, so I did the same thing on the other side. 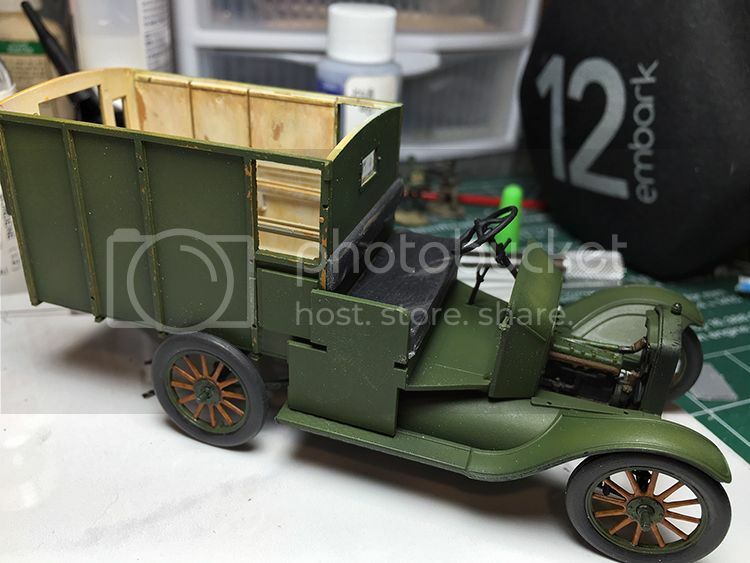 I managed to do a little building of my Tamiya British figures. They go together quite well and I might look into of Tamiya's later figure releases. So far I'm quite pleased, there has been a minimum of filling required and it's easily handled with some Vallejo acrylic filler. Still have to do the tracks, but they look like they simply snap together. There were some fit issues with the kit. Some parts were a little too tight and for some parts I had to bust out the putty. Overall though it was pretty good. 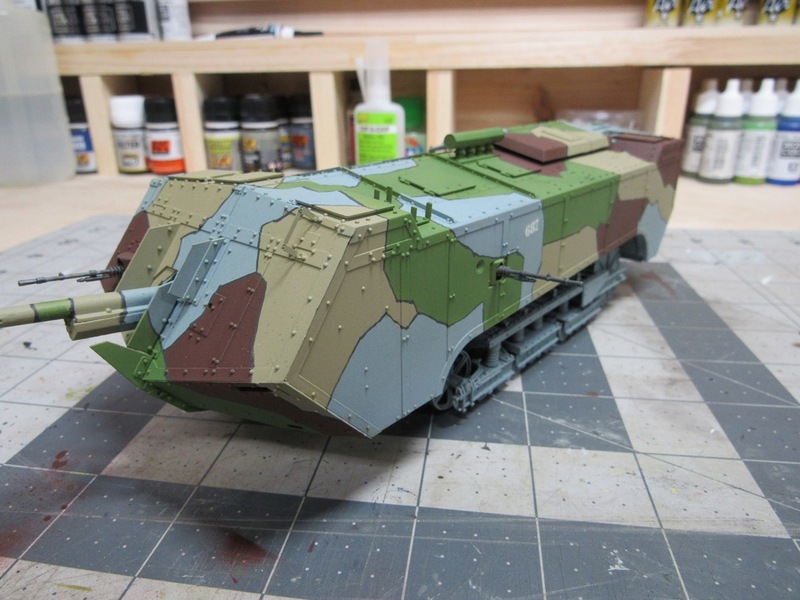 Next I think I'll get a coat of primer on it, then work on masking that camo pattern. That Saint Chamond is way high on the "cool factor." I am finding your description of the problems very helpful with an eye toward building my own some day. Don - Good progress on your figures. I look forward to seeing how you bring them to life. Had the day off so I decided to get some painting done. Paul, since you say you'd like to build this kit, you may want to paint the road wheel/suspension assembly separate from the hull. I didn't, and there are a lot of nooks and crannies down there. While not impossible to paint, it did make it a little more tedious. 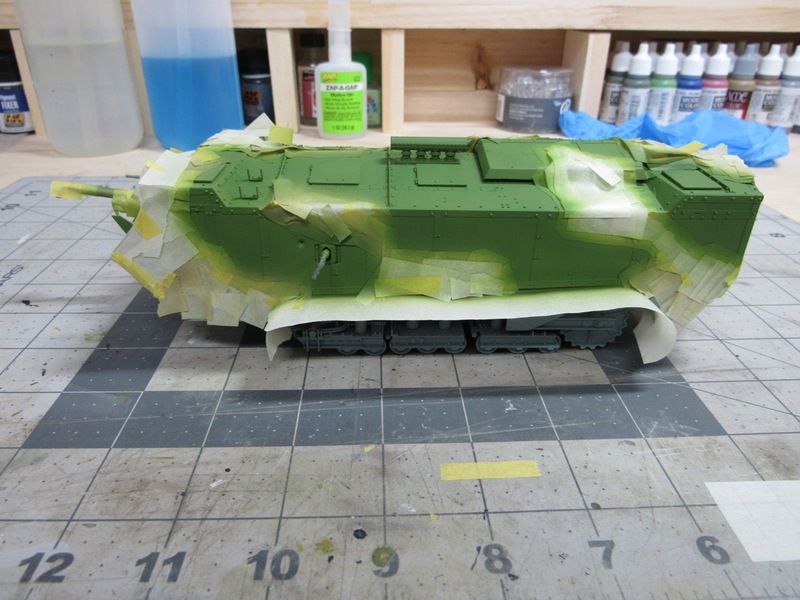 It's an angular hard edge pattern, so most of the masking was done with small strips of Tamiya masking tape. 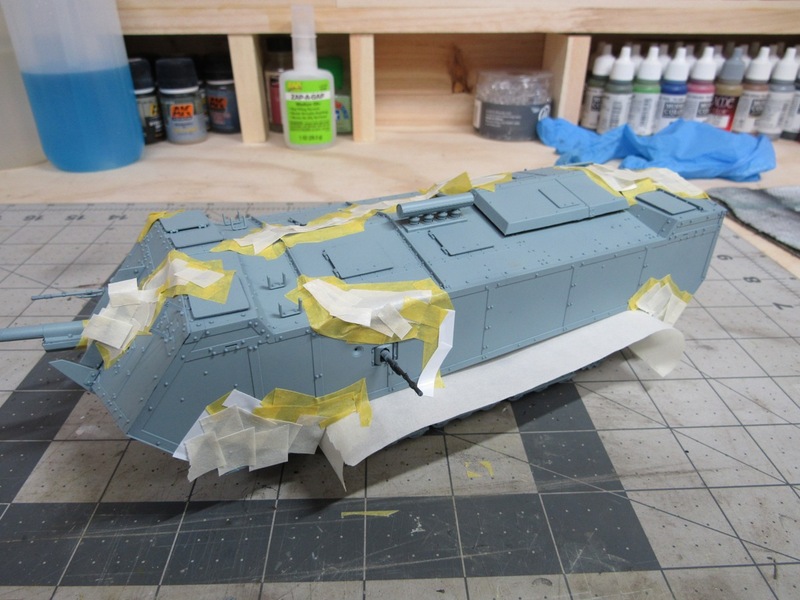 Regular masking tape was used to block off the large areas. Pretty gaudy looking. Overall I'm happy with it. 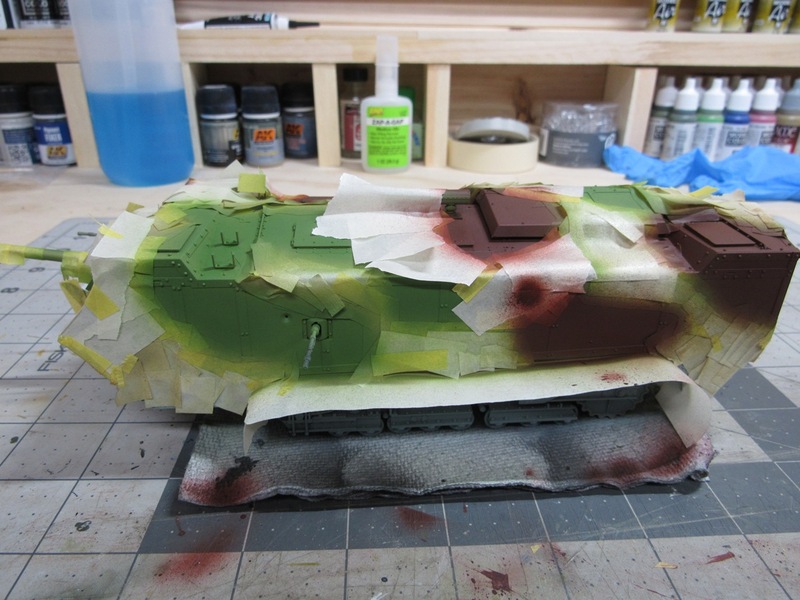 Weathering will tie it up and darken the colors. Masking is tedious to say the least, but with doing one color at a time, each layer is less work than the last, so it works for me. Touch up and detail painting is up next. 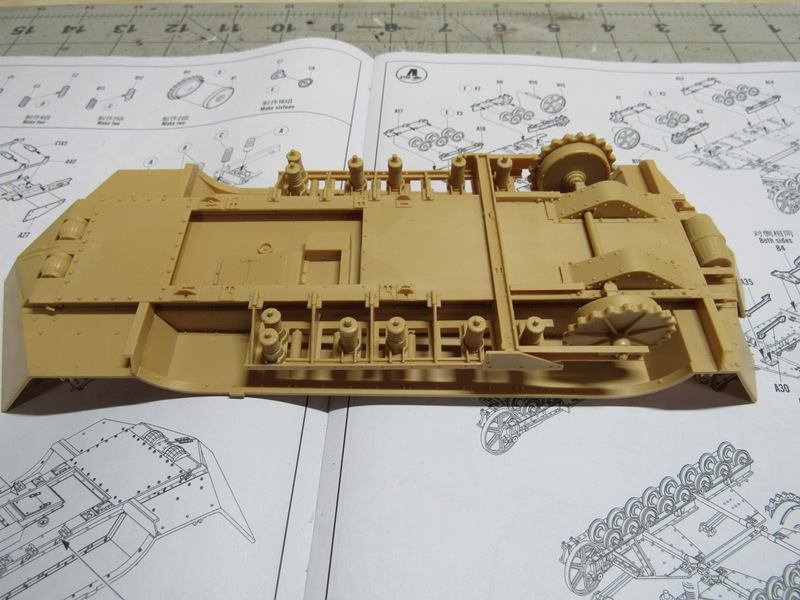 Small Parts and fat finger.....the Joys of Modelling! 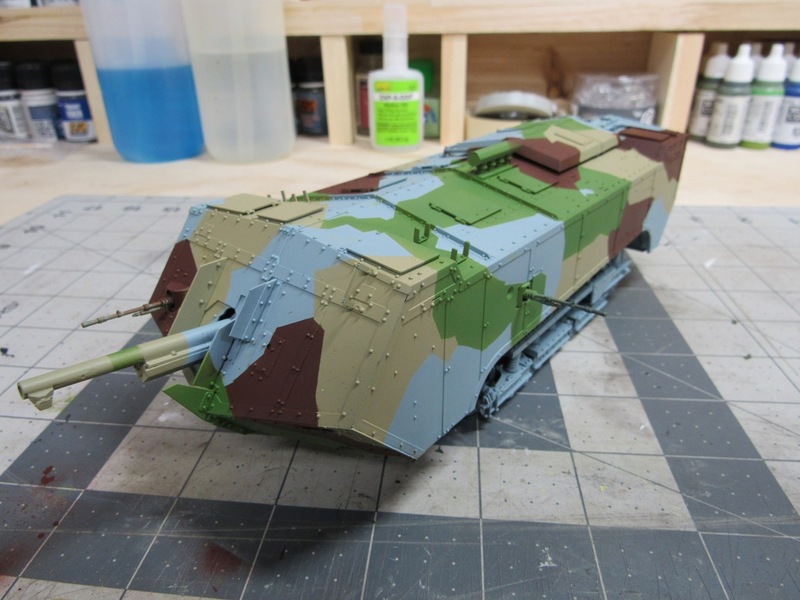 When I started one of my St Chamond's I tried to paint as I built with the suspension (with a brush, bad mistake). There's a lot of parts and I gave it up as a bad idea! I think your approach seems a much faster way. Thank you Stephen. I can imagine brush painting this thing being a nightmare. Some more progress made. I hand painted the lines between camo colors. In retrospect, a fine tipped marker would be faster, easier, and neater. 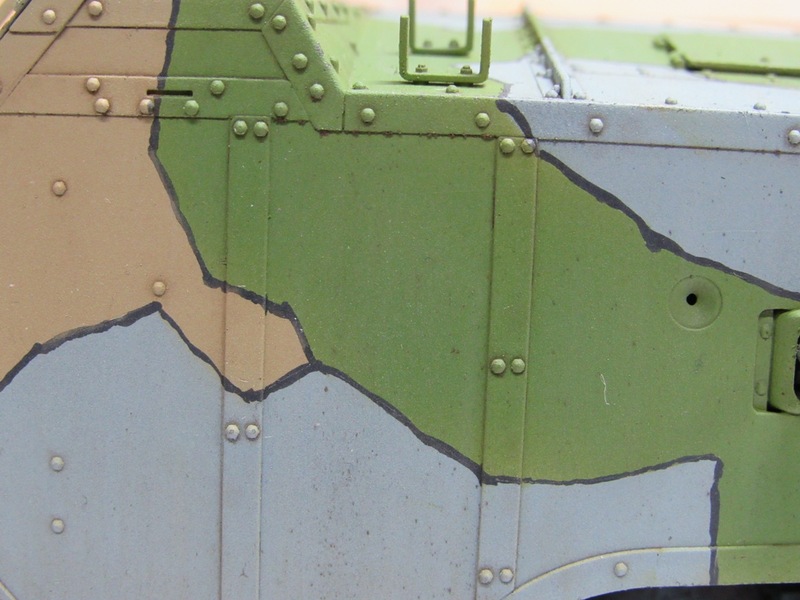 Decals were also added. Pretty subtle, but it does seem to have toned down the colors a bit. Chipping and pinwashes are up next. Welcome Vargas! I have not seem CAD/3D models before and will look forward to seeing what your project comes out like. James - Your dividing lines came out very well. Did you do them with a brush? How did you manage to get them so steady and even? Those dividing lines have stopped me from even trying this sort of scheme. Yup, brush painted them. I'll take a close up shot tomorrow, there are quite a few spots where I'm not so steady or even. I did it by holding the wrist of my painting hand with my free hand, and with one or both forearms pressed against the edge of the table. Kept me pretty steady. In other news I've been experimenting with some mud making techniques, and they're kinda 'meh'. Adding some more layers and washes may tie it together some more, so I'm going to try that. 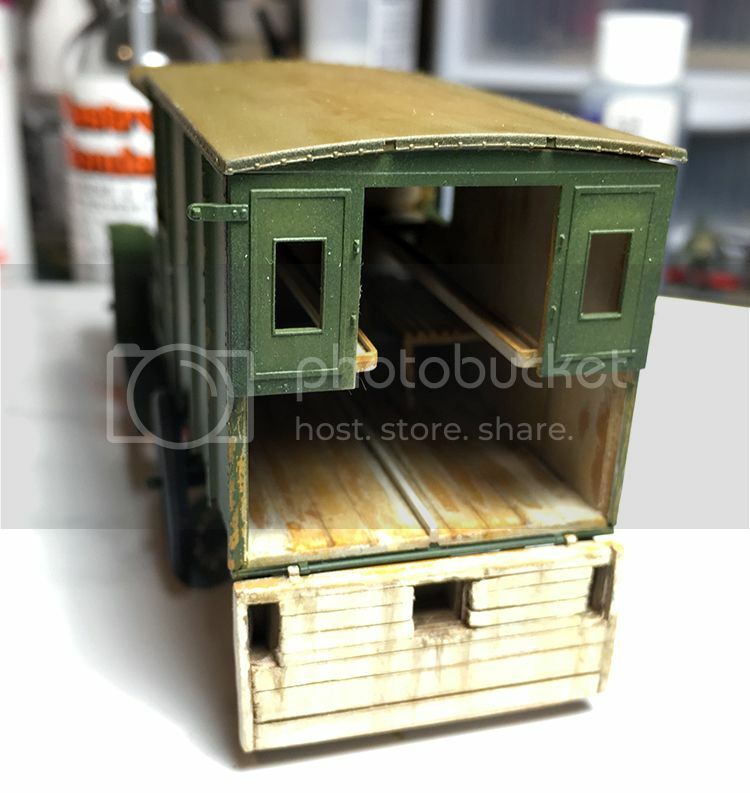 I have made some progress on my ambulance. Slow and steady is the watchword here. 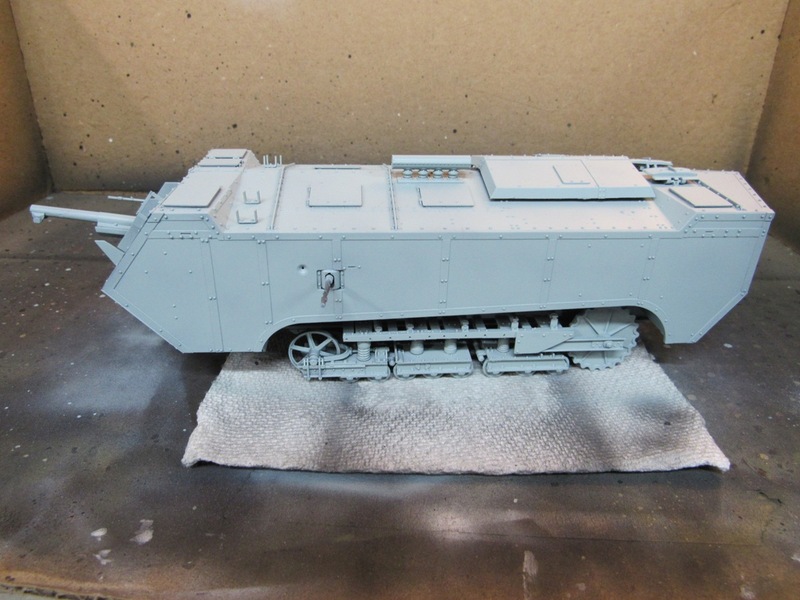 Due to the open nature of the front and rear cab, I have decided to do primary painting during assembly. Not sure if this the right move, only time will tell. Don -Look frwd to how those figures turn out, some nice combat poses! 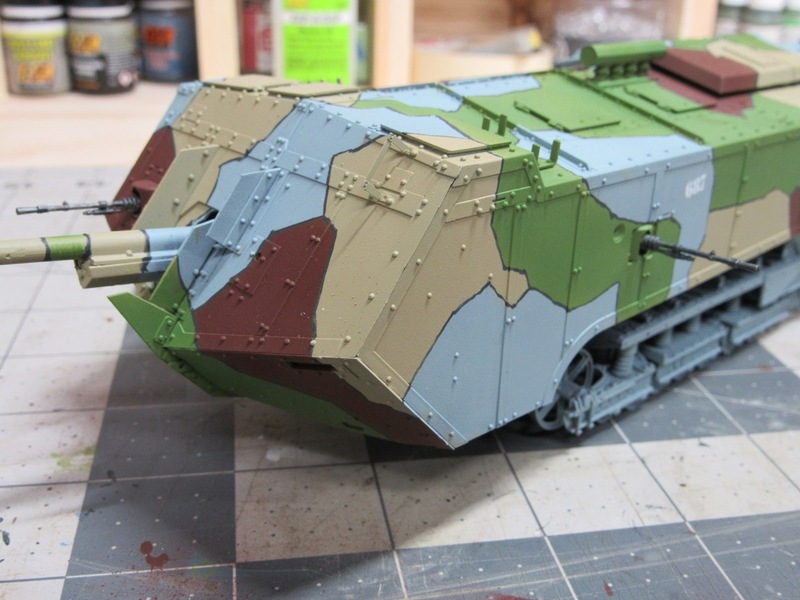 James - That paint scheme's a real stunner, came out beautiful! The St Chamond was certainly a early war beast, not to mention a true "landship". Glenn - That ambulance is turning out great, very nice paint job you've started. Will you be adding interior gear and stretcher kit, and any crew? I forgot I had a start pic! 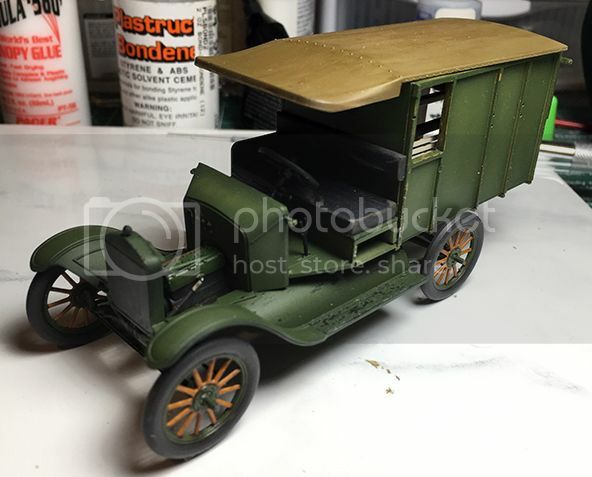 Glenn - Your Model T is looking good so far. The main body was wood and I imagine would have a large variation of looks after a little service. Welcome John with your figures. I will enjoy you bringing them to life. I am in with the French Saint-Chamond. 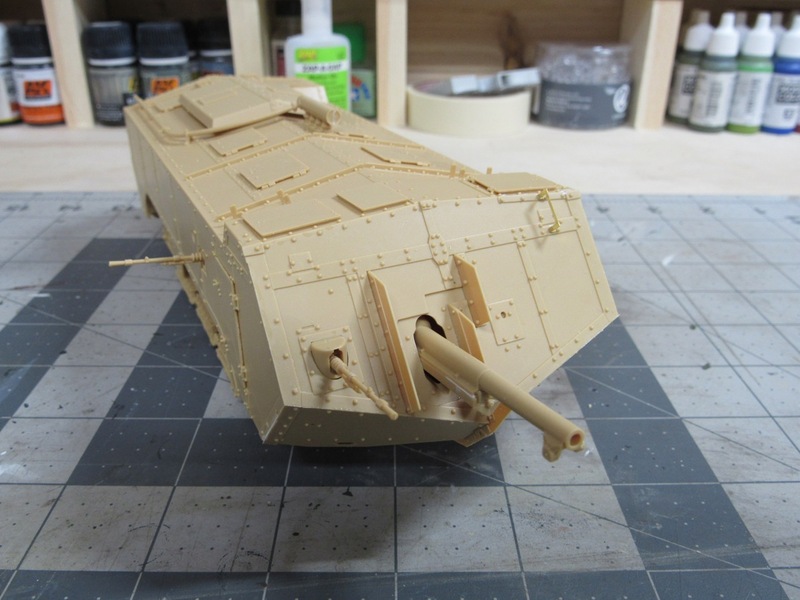 If time permits I will try and do a mark IV build also. Welcome Kelly. Great choice, these beasts are little known and deserve a bit of light here. I’m inspired! 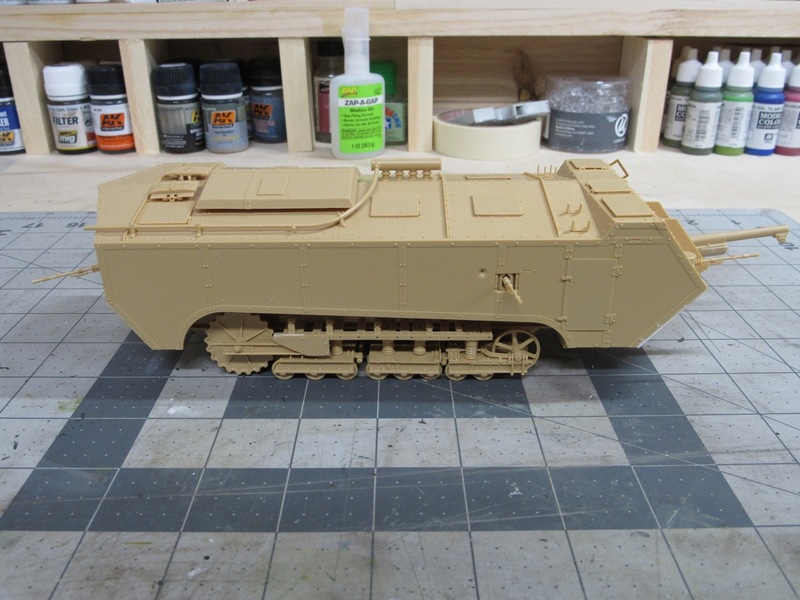 Will start the Meng Whippet this evening.